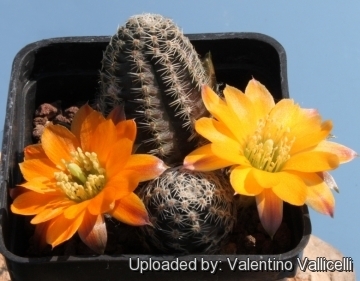 Origin and Habitat: Reported from Bolivia, Potosi, Sud Chicas, Mai Paso, at 4000 m altitude, where it is scarce. 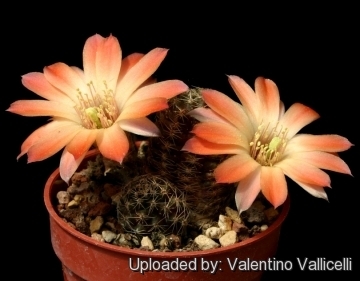 Description: The following description of this species is based on Rebutia gracilispina F.Ritter 1977 sensu stricto (Collector's number referred here is FR 1118). But plants in circulation under this name do not match up exactly with Ritter's description, most noticeably in their clearly defined ribs, unlike the much less defined ribs required by Ritter, and plants matching up to Ritter's description have not appeared in cultivation. 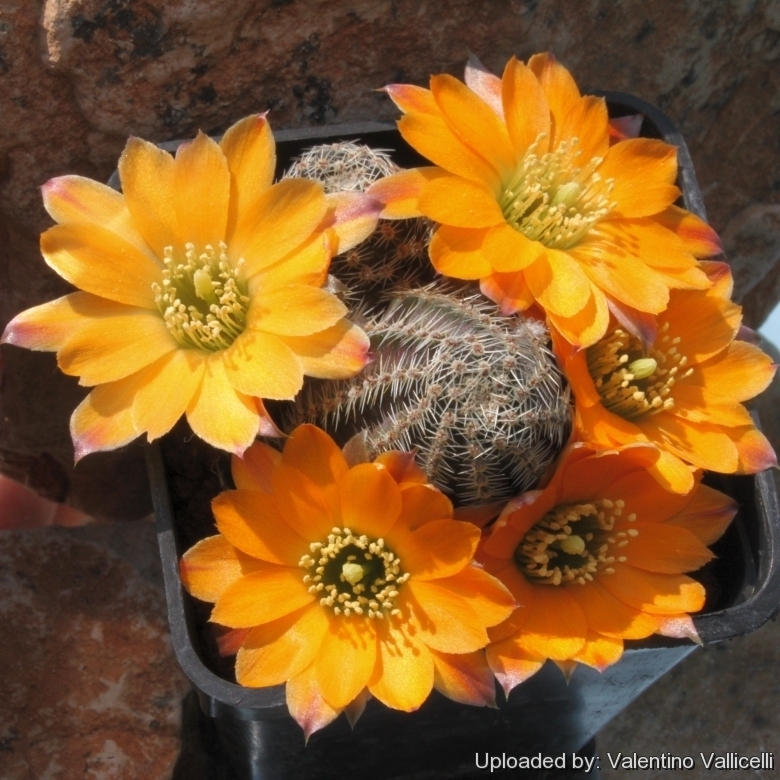 But if we consider the numerous synonyms, form and variety of this very variable taxon (Rebutia pygmaea), all the value of size, colour, flower and spines characteristic can change considerably. 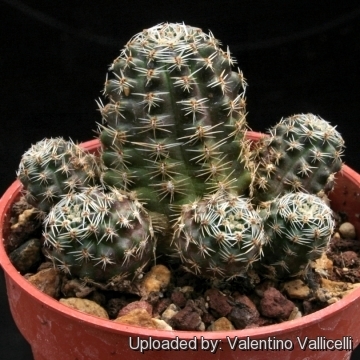 Habit: Very small clumping geophytical cactus. Areoles: Small, to 0.7mm long, with white wool. Central spines: Absent or occasionally one similar to radials. Flowers: Intense vermilion to scarlet, stigma yellowish-white. 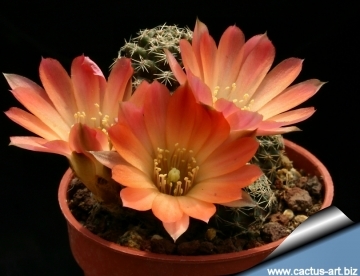 Cultivation and Propagation: Rebutia gracilispina is a summer grower species that is easy to cultivate and recommended for beginners. The whole Rebutia pygmaea complex has delightful flowers and the plants remain compact, and clumps can easily be managed by division. Another advantage is that the plants are very cold hardy in Winter if kept dry.